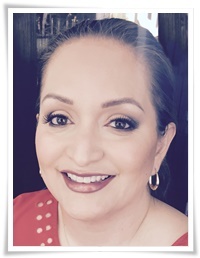 Stamp with Kathya: New Stampin' Up! 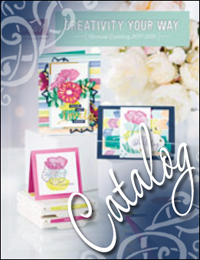 Catalog. Morning Stampers! What a glorious Monday it is! Today is the day for all fans of Stampin' Up! 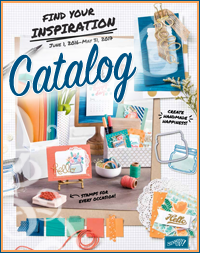 Our new catalog, "Inspire, Create, Share" kicks off today and you can begin ordering from it at Noon MT today...that's in just half an hour! I have my list ready to go and can't wait! Lots of beautiful new things in it! Come back tomorrow as we have a new Nacho Average color challenge for you to play along with. Thanks for stopping by. Until next time.